Though most of us know that Superheroes exist only in comic books or movies, there is always a part of us that wants to believe that the Batman is lurking in his cave and is actually fighting goons at night, or that Iron man will create the technology in a near future. But as long as they don’t come out in the open, here is what we can learn from them, and become our own heroes, to succeed in various aspects life including family and work or business. Learning from superheroes, for you. For some reason, I have always been extra partial towards Batman. Perhaps it is because he happens to be genetically a normal homo sapien, a human. It is only by his choice and intelligence (and money) that he could bring out the superhero within and fight evil. There are five things he teaches us. Batman was orphaned by the evil deed of others, and he lamented the death of his parents. But instead of drowning in misery, he came through the storm tougher and more determined. His childhood trauma became the reason of his transformation to a hero, who rid Gotham of lurking darkness. In your life, you need to be a human and cry when sadness overshadows happiness, but at the same time, the challenges need to be confronted. When something difficult presents itself, face it head on and take it down. The more you run away from tough tasks, the more they would come back to haunt you. Everyone needed Bruce Wayne, from James Gordon to Harvey Dent. When you are indispensable, you get two trophies. One, you are never fired (at job) or replaced or surpassed by someone else. Two, you build a network, and we all know how networking is so important today. Whether you are an employee, a businessman or an entrepreneur, your networking counts a hell lot for your success. In the Dark Knight we saw Batman taking the fall when time demanded. Now this does not mean you become a sitting scapegoat, it just means that at times you need to go through unexpected situations. Go through the mud and blood and come out shining bright, that is what true success is. 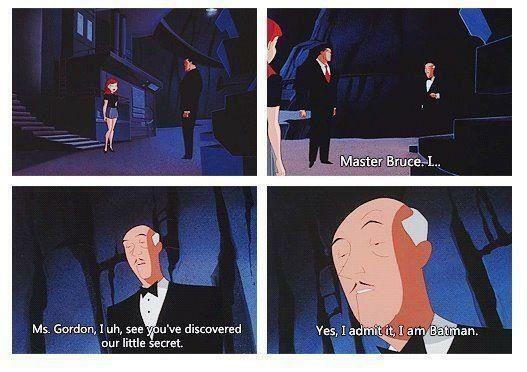 Be it Robin or Alfred, there were select few who were trusted by the man who saved so many. When the time comes, you need to have at least one man who would save you, even if you are a superhero. In your workplace, you know it is a tough world. Everyone wants to get ahead. But you need to find a select few who can be trusted. When Bruce Wayne started as Batman, we see a troubled hero. He trains himself as if there is no other day. The way he works himself to the peak of human perfection is admirable! So be the Batman and get going, the better you are, the nearer you will be to perfection! Here is a bonus video for Batman fans! Now this superhero has been the closest to what we call “alien powers empowered human savior”. Before we start with what you can learn from superman, note that he always had the powers. He could have chosen them to become evil instead, but no, he instead chose to save people and use the boon for the good of others. No one is good or bad from the beginning. 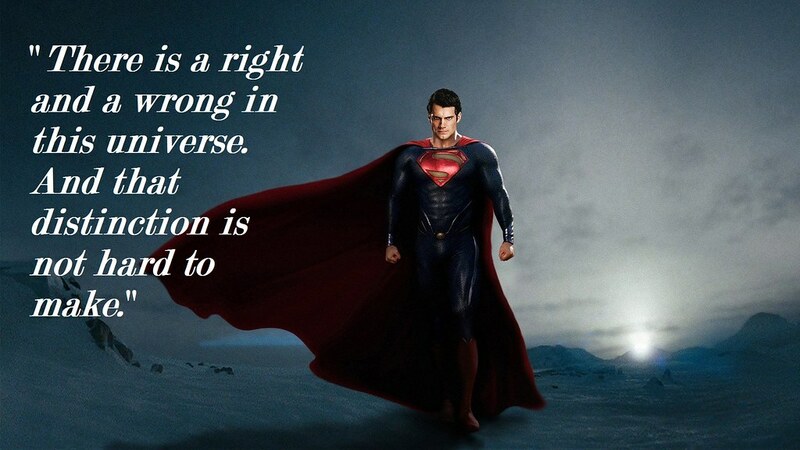 It is true that Superman had imbibed powers, but what he chose to do with them was his wish. He could have led a normal life, without getting into all the trouble of fighting evil, or he could have become one himself , but then he ended up becoming an icon. Be the Superman for your peers, for yourself. When you connect with people and they respect you for what you do, it helps in the long run. Malpractices at workplace or cheating bring short term riches or happiness, what matters at the end of the day is how true to yourself you have been. Kryptonite, just a stone is what we joke now, is all it took to weaken the superhero. But he knew it and he fought to not be overcome by it. As a businessman or an entrepreneur, you need to recognize the Achilles’ heel, before your competitor does. And then turn it around to your advantage. A famous example in this regard is given of Hertz and Avis. In the 1960s Hertz was leader in car rental while Avis was behind. So they launched a slogan, “we are number 2 so we try harder” and within four years, their numbers tripled. This might not come straight from Superman’s actions, but a general aura around him. At your workplace or business, let your peers get jolly with you and love you, but at the same time they must know you are a fierce competitor. Your passion to succeed must be evident, but respect for you will come when you show that to achieve the end, you will not take a malicious path. Ah! Iron Man! Tony Stark is an epitome of the ideal modern day hero, the charismatic and strong man who can laugh at the face of death. Especially entrepreneurs can learn helluva lot from this one superhero. So these tips are just for entrepreneurs! The Arc reactor Stark built was when he was held captive with nothing more than spare parts he found. Entrepreneurs would connect with this. Sometimes when we start out there is nothing more than discarded pieces that you pick up and start off to build your dream. Without the luxury of hi tech workstations or money falling from trees, you can make it big. Just be true to what you do, and don’t be just good, be the best. When Tony Stark realized that his company’s weapons were doing more harm than good, he decided to shut it down. Now your enterprise may not be making weapons, but sometimes when things don’t work out the right way, you should be open to rethinking the decisions. If one approach does not work, don’t be a thickhead and stubborn, keep an open mind. Remember that a decision borne of haste is never fruitful. About the new suit Mark II, JARVIS had warned Stark that many more calculations needed to be done before testing it. To this he just blasted off with the suit and learned to fly his creation by working on it first hand. For entrepreneurs, this is as true as it can get. Many learned wise men can give you a hundred advices, but when it comes to doing it, it is up to you. Taking risks, is what being an entrepreneur is all about! The first Iron Man suit he built was good enough to help his escape, but was clunky and short lasting. Even the second suit, the Mark II he built had problems like freezing at high altitudes. So try, try, try again, till you succeed. The first time you may not be successful, but do not give up. Never give up! If there is one thing we all unanimously love about Iron Man is his panache. Take the edge off any given tense situation, it helps you work better. Sweating out in the face of adversity is of no use, see the lighter side of a situation. Try not to drive yourself crazy. Sometimes Even Superheroes need to fight it out.. Previous articleHow do startup companies attract fresh talents?